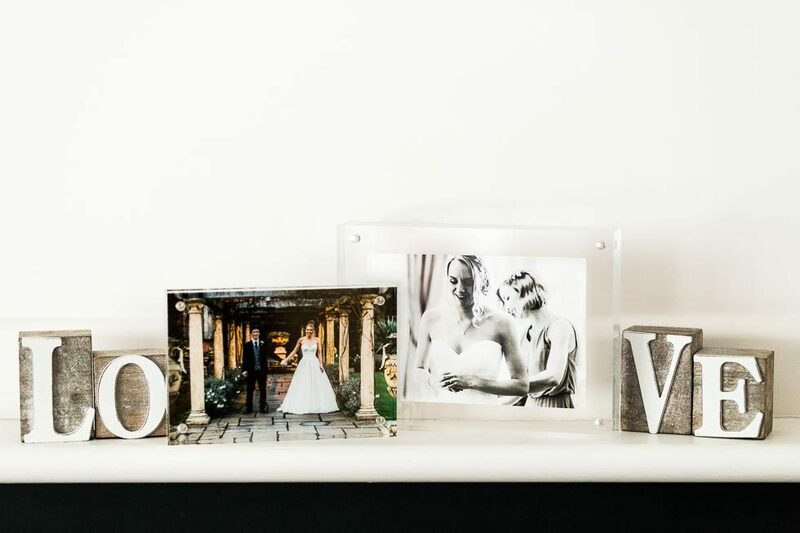 A simple yet hugely popular photo block frame. Two premium thickness pieces of clear acrylic are held together by 4 strong magnets making it extremely quick and easy to change and update images. The photo block frame can show an image from both sides making it a great double sided frame, for any situation. The 6 x 4 inch frame (left) is sized so that your image is flush with the edge of the frame, with no border around the edge. The 7.5 x 5.5 inch frame (right) is sized so that your 6 x 4 image floats in the middle of the block with a border around the edge. Both frame sizes include a 6 x 4 inch picture of your choice, and you can buy extra prints to swap the prints around. If you would like to know more about the Portfolios, please get in touch, where I’ll be happy to help.